After months of speculation, Research in Motion has formally announced that its new touchscreen BlackBerry Bold smartphones will come with near field communication capabilities. 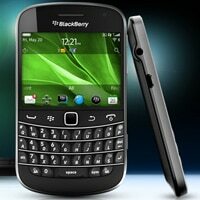 Research In Motion has unveiled two new BlackBerry Bold smartphones with built-in NFC capabilities. The new BlackBerry Bold 9900 and 9930 smartphones are built on a new platform powered by the BlackBerry 7 operating system and, says RIM, are designed to deliver the ultimate in communications, multimedia and productivity for users around the world. The phones will be available from this summer. Proud owner of a BB bold 9930.